Hey! 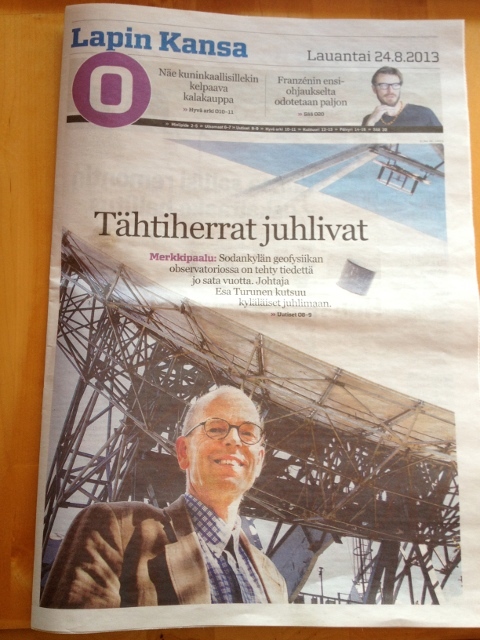 Look who turned up on the Lapin Kansa newspaper yesterday... Director of Sodankylä Geophysical Observatory, Esa Turunen! The cause for the article is that the observatory is celebrating its 100th anniversary next month. No doubt we'll be posting lots about that in the near future.